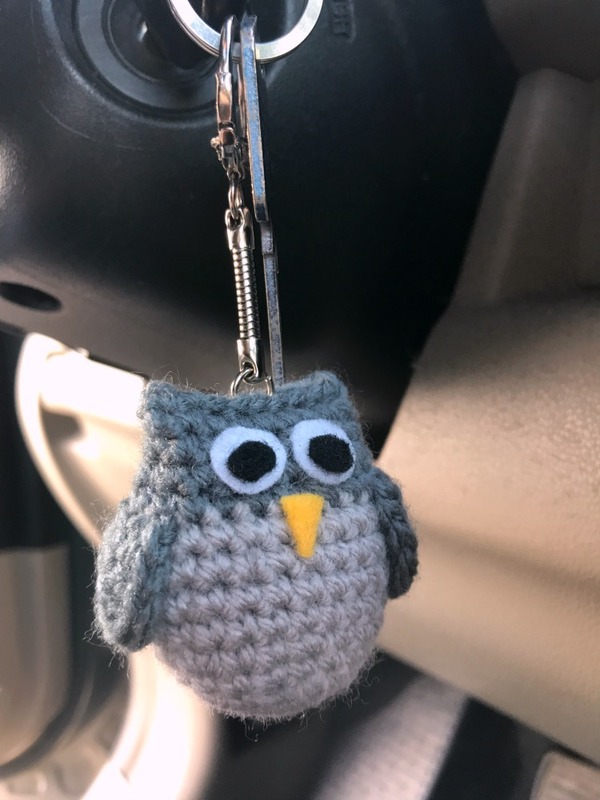 Last year around Christmas time I made some owl ornaments and I loved the way they turned out. I ended up making quite a few of them to give away and to sell. They were cute and colorful and fun. 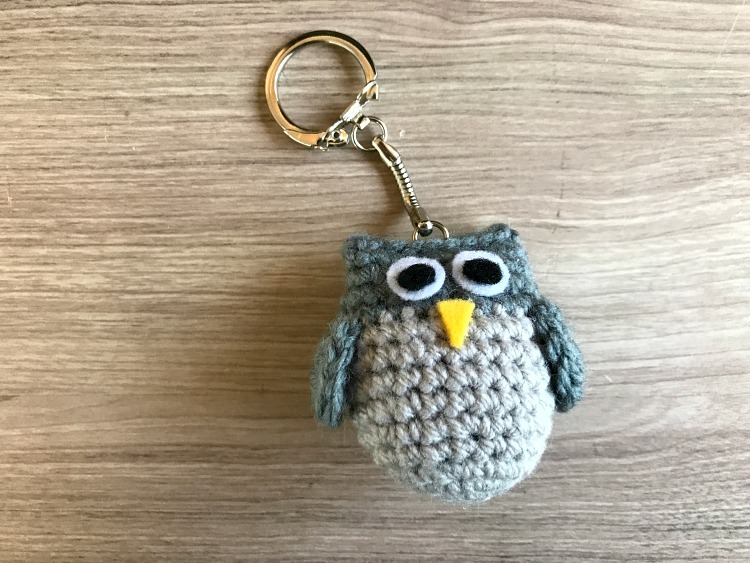 I thought it might be neat to alter that pattern slightly to make a smaller owl that could be made into a keychain. 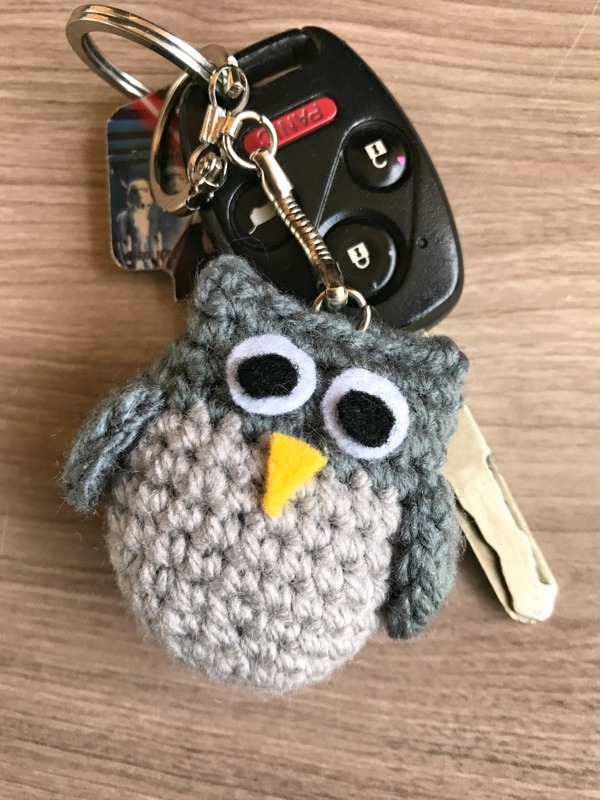 By making just a few small changes to the pattern, as well as using a smaller yarn and hook, I was able to make a tiny little owl that is the perfect size to keep on your keys. 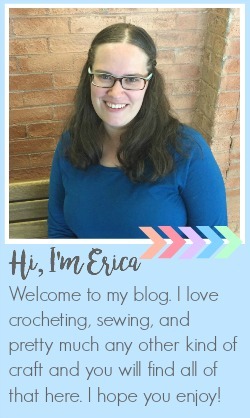 You can find the free pattern on the Darice Blog, Live.Craft.Love.